Christmas is coming and we’ve got some big red and green things in store this week. Green scales and glowing red eyes, that is. 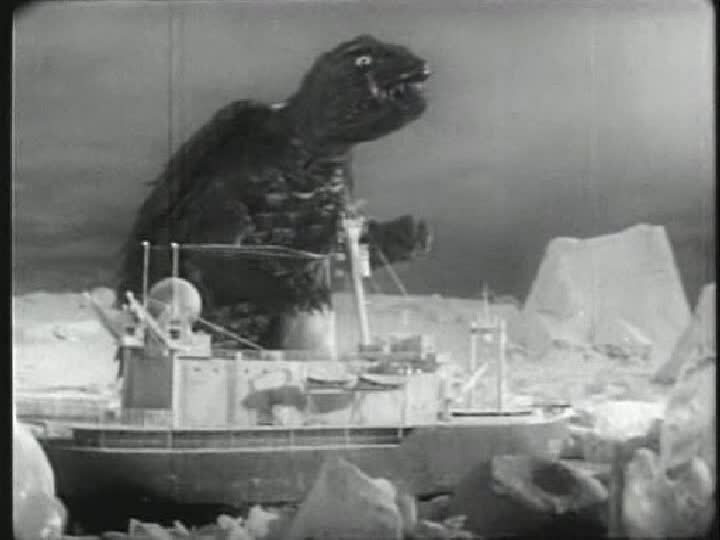 Join UNCLE PETE in THE DARK VAULT OF PUBLIC DOMAIN for the 1965 big screen debut of our favorite giant turtle in Gammera The Invincible (a.k.a. – Daikaiju Gammera). When a bomb blast wakens our sleeping hero, he gets up a little cranky and takes a walk through some of Tokyo’s hot spots (at least they are after he gets through with them). Gammera The Invincible was the only film in the original crop of Gammera movies that was released in American theaters – and the only one entirely in living black and white! Re-edited and longer than the original Japanese release, the U.S. version added several scenes and American actors (including Brian Donlevy and Albert Dekker) to the original line-up starring Eiji Funakoshi and Harumi Kintachi. Directed by Noriaki Yuasa. From 1965, it’s Gammera The Invincible. 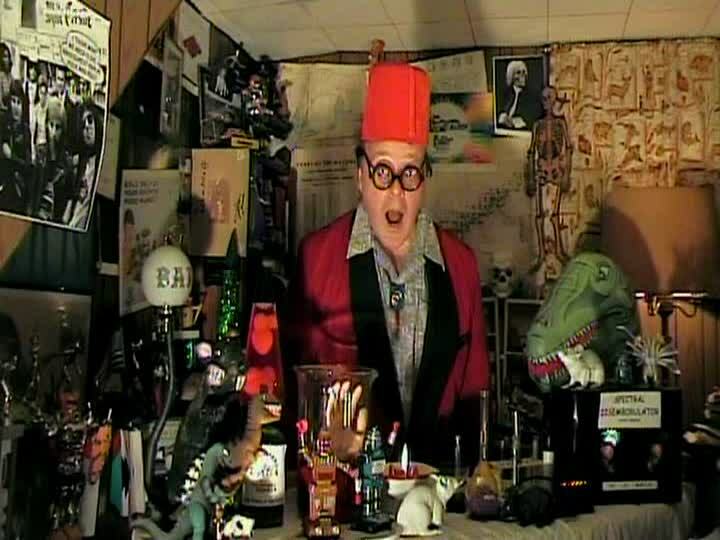 Back in The Dark Vault Laboratory, UNCLE PETE is mixing up some stuff. No, not eggnog, but a secret size enhancement formula for an unnamed commercial concern. 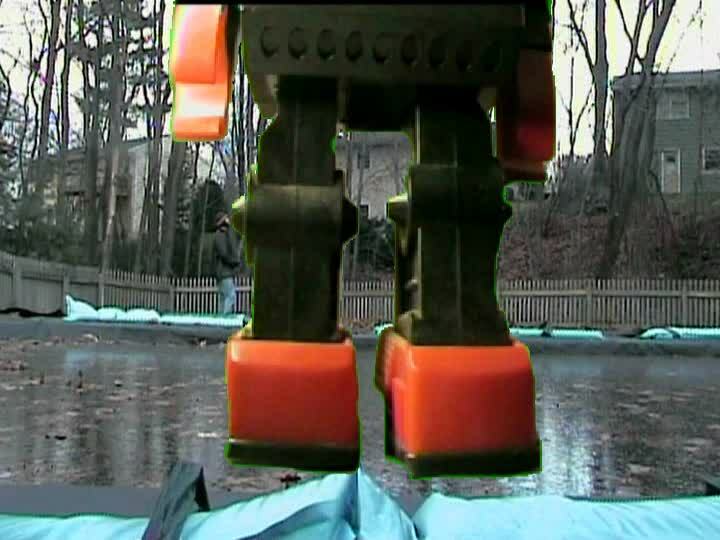 The enlarging fluid does more than expected as it turns a robot into a rampaging, stomping, flying, giant pain in the neck and UNCLE PETE sends El Vato out to clean things up. Business as usual in The Dark Vault. But UNCLE PETE finds time between robot attacks to bring you some music, including a video by the Plastics, and a cartoon about a meanie up north called The Snowman to help prepare you for the coming chill. It all happens this Saturday, December 5, 2015 from 10PM to midnight on channel 4 (Binghamton), channel 17 (Montrose/Sayre, PA), and channel 99 (Elmira/Corning/Hornell) with replays at midnight and 2AM. Mix up your Christmas cookie dough cuz our hero loves cookies and cooks them in a flash and join UNCLE PETE, EL Vato, and a rampaging robot and kick off the Christmas season with Gammera The Invincible on the next DARK VAULT OF PUBLIC DOMAIN!!! ~ by UNCLE PETE on December 3, 2015.